Keeping up with the connectors. Includes Lightning and USB cables. Make great music on the go. Order today. 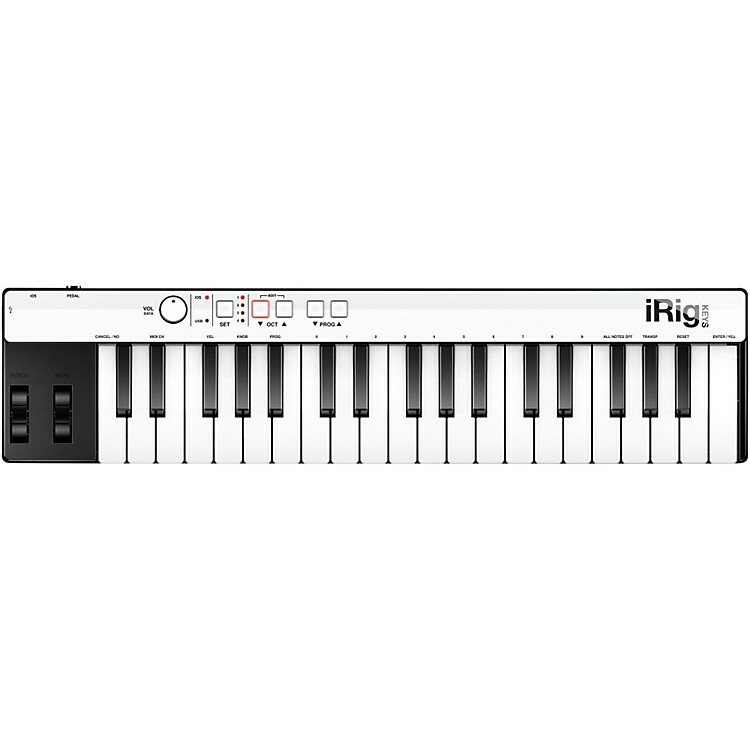 iRig KEYS with Lightning is compatible with iPhone 5s, iPhone 5c, iPhone 5, iPhone 4S, iPhone 4, iPhone 3GS, iPod touch (5th, 4th and 3rd generation), iPad Air, iPad 4th generation, iPad 3rd generation, iPad 2, iPad, iPad mini 2nd generation and iPad mini. iOS 4.3 or later is required. Mac: Mac OS X 10.5 or later. Windows: Windows XP (SP3), Windows Vista (SP1), Windows 7 or Windows 8.